With energy demand in Asia and the Pacific forecast to increase by 60 per cent from 2010 to 2035, access to reliable and adequate energy services will remain a focus for decades to come. Countries in the region need to maximize their potential, improve energy access, increase shares of renewable energy, promote energy efficiency and strengthen cooperation on energy security and connectivity. As one of the three pillars of the Implementation Support Mechanism for the Asian and Pacific Energy Forum (APEF), the 2016 Regional Trends Report on Energy for Sustainable Development in Asia and the Pacific supports the implementation of the outcomes of the APEF 2013. Development of the 2016 edition follows a similar process to the 2015 Report: consultation with ESCAP Member States for topic selection, case study collection and review; discussion with experts on thematic areas; and engagement of consultants on specific research. The 2016 Regional Trends Report consists of two parts. 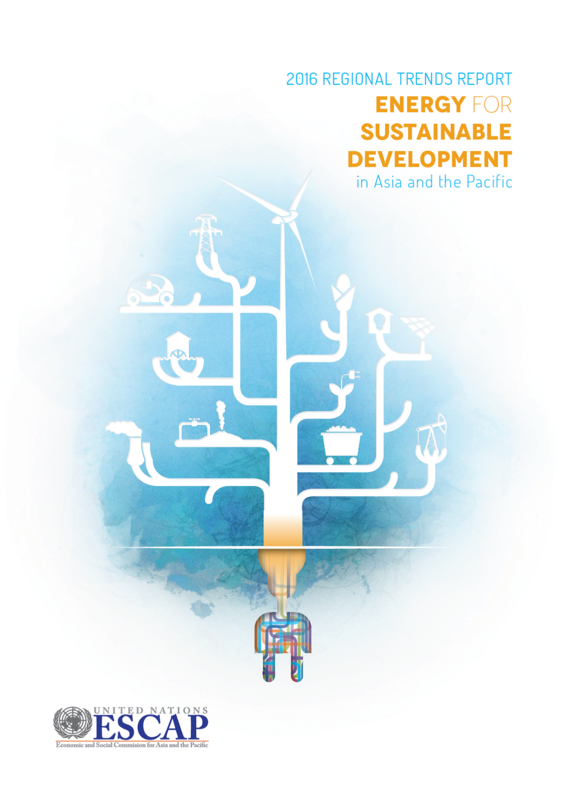 Part I (Chapters 2, 3, 4 and 6) discusses emerging energy issues in the global market and Asia-Pacific region and two pre-selected topics by ESCAP member States: (a) transboundary power trade for increasing power sector sustainability and regional connectivity; and (b) developing effective policies for widening access to energy services. Part II (Chapter 5) provides an overview of the implementation of the 15 areas of action, which will contribute to the final review of the outcomes of the APEF 2013 and preparation for the second APEF, to be held in Tonga in 2018.